If you are in Budapest during the hot summer months, the only way to escape the heat is leave! Yes, I’m saying get out of the city and go on one of the many cool day trips from Budapest. Leave the burning asphalt behind and venture outside of Budapest. You’ll discover that the countryside of Hungary is just as impressive as its capital city. Because it’s so close to Budapest (just below a couple of hours), I believe taking a day trip to Eger is well worth it. It will give you a different perspective to the one offered by the capital. Over the course of history, Hungary had to defend its borders against many enemies, so the Hungarians had to build massive castles to protect themselves. Many of these castles have been destroyed in battles or sieges and have never been rebuilt. But some of them survived and are still standing today as a testimony of the country’s heroic past. One of these castles is in the little town of Eger. Eger Castle was the home of the episcopal seat in the region. It also served as a fortress. In the 16th century, the Hungarians gathered here under the leadership of István Dobó managed to withstand the Turks for five-weeks. The event is remembered as The Siege of Eger. The castle is in pretty good shape. On the castle grounds we came across people dressed in medieval costumes and various exhibits that illustrate the historical traditions of the fortress. From the ramparts you have a sweeping view of the Eger town down below. The Minorite Church of St. Anthony of Padua was founded in the year 1715 by a small group of Franciscan friars from Italy, who belonged to a monastic order and called the Minorites. The original church built by the friars was flooded several years later. Around 1758 the church was rebuilt in the Baroque style you see today. St. Anthony of Padua is one of the most beautiful Baroque churches in Europe and really worth visiting. Because it is located in the heart of Hungary’s wine country, the little town of Eger is more famous today for its wine than it is for its castle. People tend to forget history. 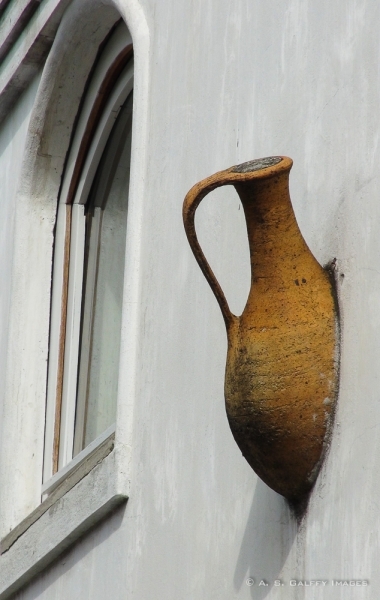 The famous Egri Bikavér (Bull’s Blood) wine is something you should definitely try while visiting Eger. A couple of hundred meters away from the the castle of Eger are the thermal baths. Located in a beautiful park with platan and cyprus trees several hundred years old, the pools display a luscious vegetation. Because of their high content in radon and calcium-magnesium-hydrogen carbonate, the waters are recommended for rheumatic conditions, central nervous system condition, metabolism problems, skin and gynecology conditions. The water temperature varies between 27-38 C.
Compared to the stunningly elaborate design of the Gellert and Szechenyi Baths in Budapest, Eger Baths will appear quite modest. They are however very beautiful and a great way to cool yourself off on a hot summer day away from the crowded city. We visited the place on a weekend so we had to battle the local crowds. My advice would be to take this excursion during the week days when there are far less people. Eger is well-served by public transportation which, although not the most modern, is frequent and inexpensive. Children under 6 travel free, and older children pay 50% of the adult price. If you are over 65 and an EU resident then there is no charge, but the driver may ask you for proof of age. You can reach Eger either by bus, by train, or by car. By Bus. 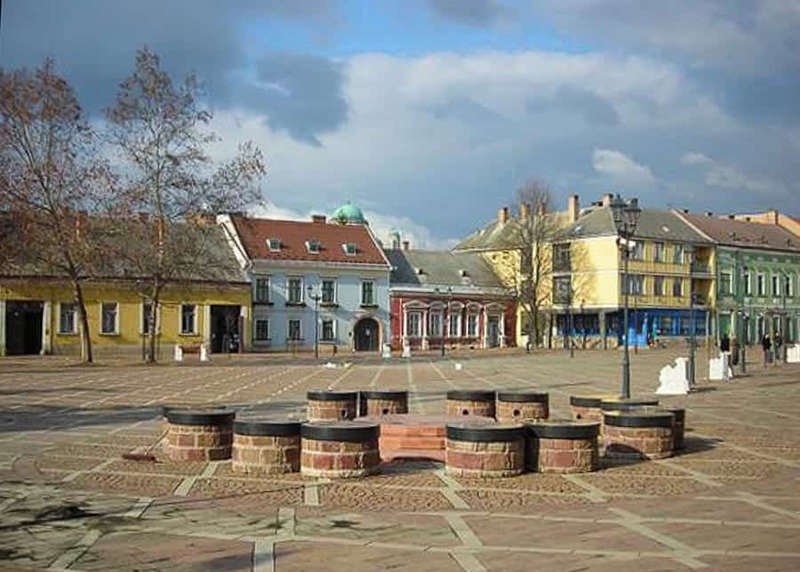 Traveling to Eger by bus is cheap – 2900 HUF/one way (around $10) and very convenient. There is a direct bus service from Budapest to Eger. Buses depart every 30 minutes and operate every day. By Car. The quickest way to get from Budapest to Eger is to drive which costs $15 – $22 and takes 1h 30m. By Train. Traveling to Eger by train takes a little longer than by bus or by car (around 1 hr and 55 min). Trains depart every two hours from Keleti train station (Keleti Pályudvar) and operate every day. The journey takes approximately 1h 55m and the cost is 2700-3500 HUF/one way ($11-$12). 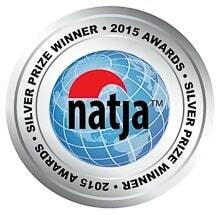 Ever since I first came to Budapest, my Hungarian friends kept telling me that I should visit Szentendre. But it was hard to convince me to spend time away from my beloved Budapest. Eventually I gave in to their insistence and decided to go see what the buzz was all about. Truth is that if you’ve seen most of Budapest attractions you may want to escape for a day trip to Szentendre (pronounced Sen-ten-dreh). Despite looking a little touristy, Szentendre is actually quite cute. The lovely cobblestone streets with colorful houses will take you back in time to an era when horse drawn carriages were the main means of transportation in Europe. The town has a very interesting history. This area was initially populated by Illyrians, then some celtic tribes moved in and then the Romans came and built a castle here and called the town Ulcisia Castra. Later on the Avars, Serbs, Hungarians and Bulgarians arrived. Much of the town’s history is connected with the Serbs who built eight orthodox churches here. 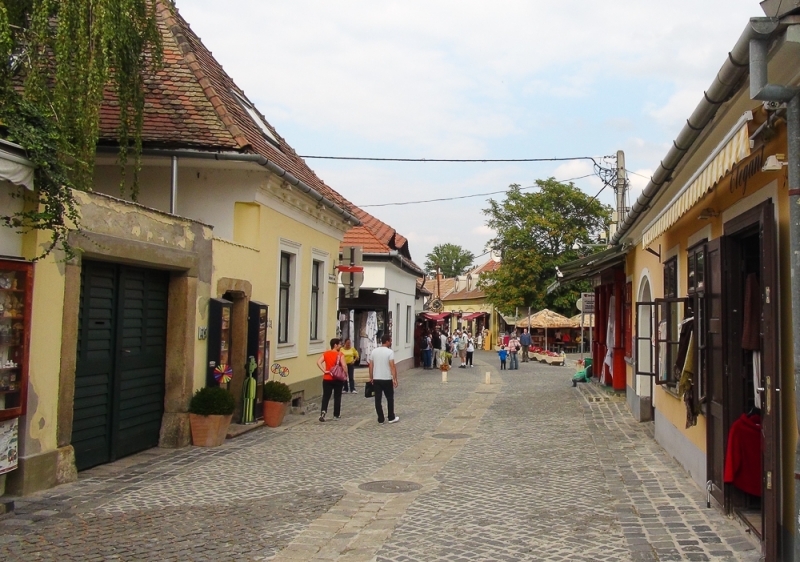 Today Szentendre has about 25,000 inhabitants. 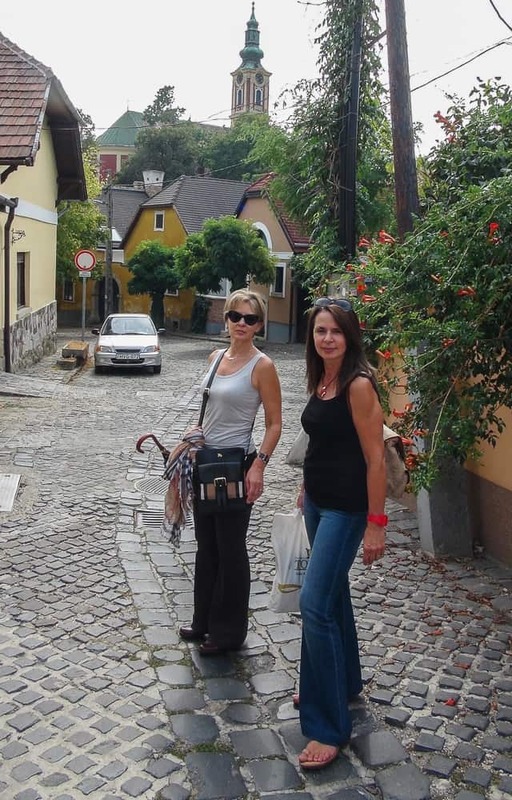 Szentendre is small enough to be explored by foot. From the train station it takes only a few minutes to reach the the main square and the promenade. 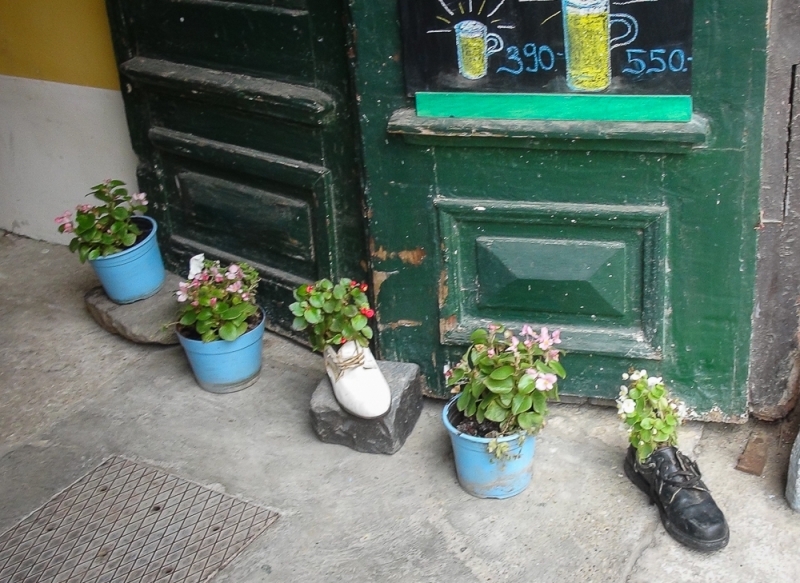 There are quite a few fun things to do in Szentendre to keep you entertained for a day. You can wander around the whole day looking at the art galleries, browsing the arts and crafts shops, or tasting the local foods. There are some great churches that you can visit and numerous small museums. We particularly liked the Marzipan Museum which has a very interesting collection of pastries made entirely out of marzipan. There is also Margit Kovacs ceramics museum (the most famous ceramic artist in Hungary) and the Mikro Art museum that has very unique collection of microminiature works. 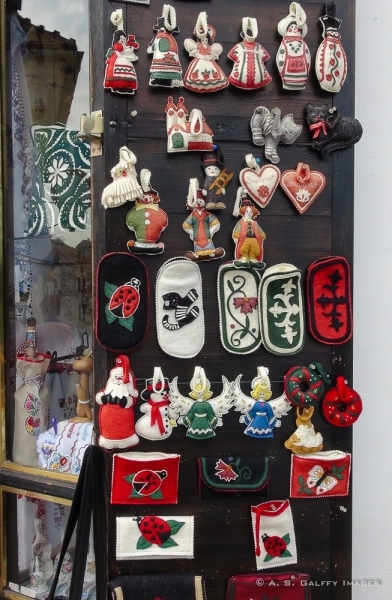 If you want to buy authentic artisan souvenirs like table linen, handwoven kitchen towels, or old crochet laces, Szentendre is the best place to find these country style articles. But if you really want to experience the town’s flavor, you should wander off the main streets to find hidden shops, beautiful old homes and baroque churches. At the top of the hill, from the Roman Catholic churchyard, you’ll have a beautiful view of the town below and the red-tile rooftops. And before you call it a day, take a little stroll along the Danube for a blissful view of the river. The town is ideal as it is located only 20km north of Budapest on Danube bend and can be easily accessed either by train, by boat, or by bus. By Train: The only train going to Szentendre is the HÉV suburban railway line from Batthyány tér (on the Metro red line). The trip is relatively short, it takes about 40 minutes to reach the town. Tip: Buy your train tickets online or at the station. It’s not possible to buy tickets on the train and if the ticket inspector finds you travelling without one you could end up paying a hefty fine. 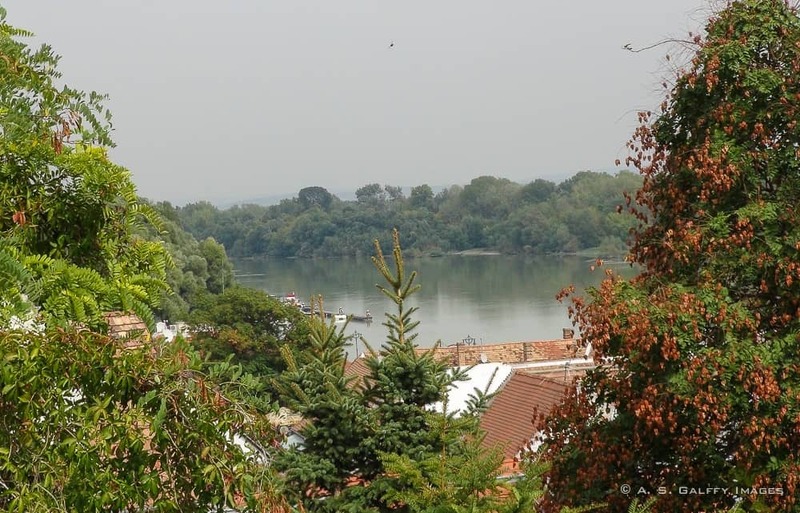 By Boat: Szentendre can also be reached by boat. The river cruises depart from from May to September in front of Vigadó square or Batthyány square. This may be an even more enjoyable way to get to Szentendre during the hot summer months months. By Bus: Another option is the bus that leaves daily from Budapest’s Újpest-Városkapu bus station (on the Metro blue line) and takes about 25-30 minutes to arrive. 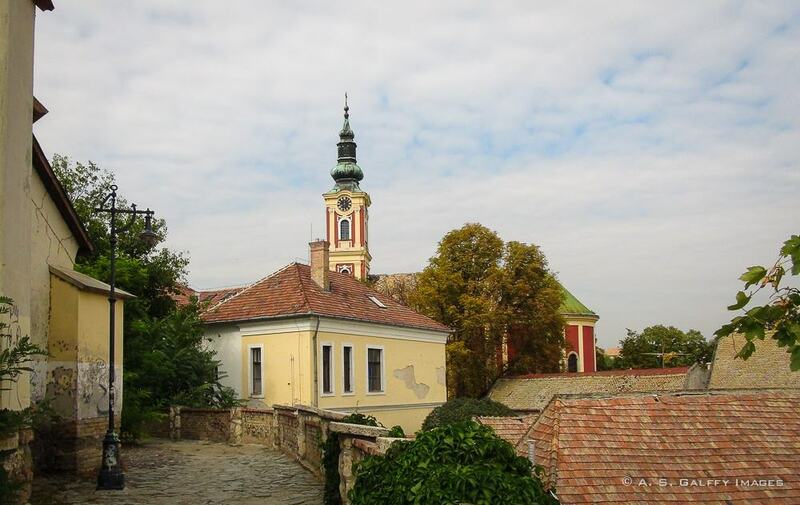 By Bike: If you are a bike enthusiast, biking to Szentendre makes a very enjoyable day trip from Budapest. The total riding time is 1.5-2 hours and the terrain is almost level, with mostly smooth concrete. 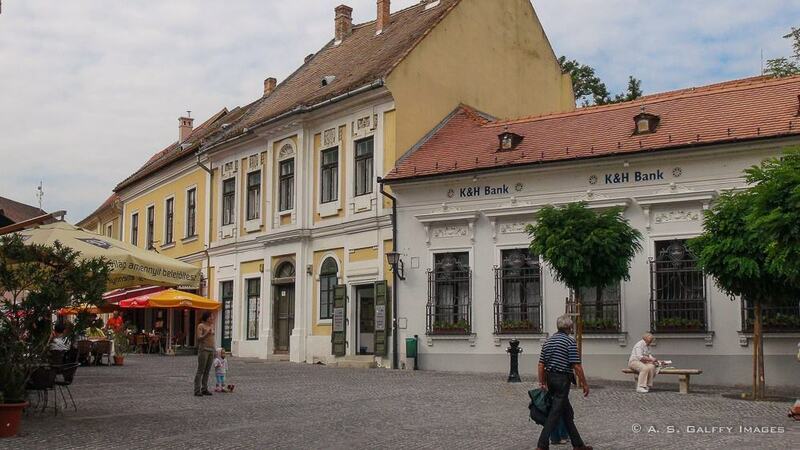 Once in Szentendre you can can stop for a bite and then continue exploring the town by bike. If you want to continue biking, you should know that almost all the streets are cobblestone and some are even uphill, so it may get tiring. But you also have the option to park your bike somewhere and continue on foot. On the return, you can just load your bike onto the HÉV and ride back to town. Lake Balaton is a long body of water stretching from east to west. 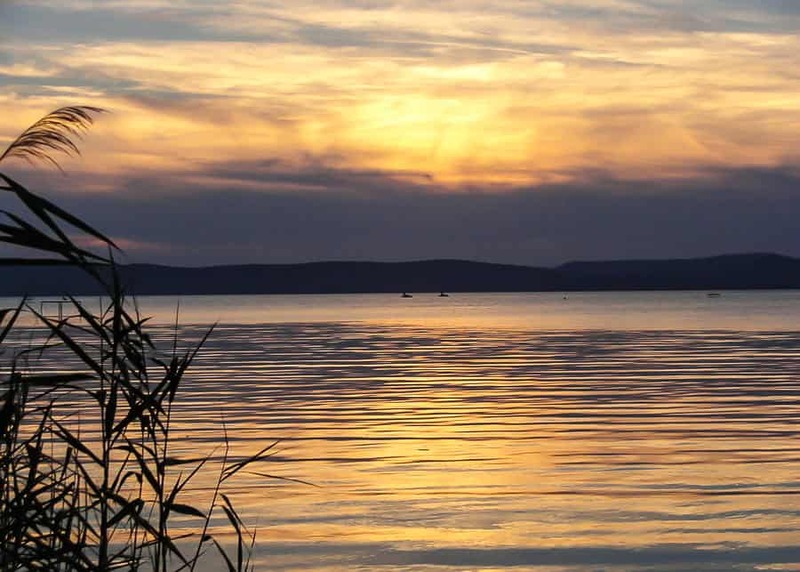 It’s the largest freshwater lake in Europe and is thus nicknamed the “Hungarian Sea.” For the locals, Lake Balaton is the place to visit outside of Budapest. An escape from the hectic life, a place to relax on the water. Kind of like what Cape Cod is for the people of Messachussets. Lake Balaton is quite beautiful, with neatly-kept pink, orange, yellow and cream cottages and two-story vacation homes. The lake’s silky-green, shallow waters are warm enough to swim in from May to October. 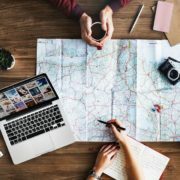 Visiting every single town along its shores is impossible to do in one single outing, so you should probably choose only one destination. The southeast shore of the lake is the closest to the capital so I suggest you visit Siófok on your day trip from Budapest. Siófok is one of the locals’ favorite vacation spots at Lake Balaton, famous for its beaches and nightlife. Hungarians often call the town “the capital of Balaton”, as it is the largest city on its shores and acts as the commercial and touristic hub of the region. BY TRAIN: There are trains that will take you to several Lake Balaton destinations from Budapest. The trains leave from Déli Station (Deli Pályudvar). The trains from Budapest to Siófok depart every hour and the one-way fare is 2400 HUF ($9). BY BUS: Hungary’s nationwide Volánbusz bus service runs daily between Budapest and the towns around Lake Balaton. Taking the bus to Balaton is not the best option as there are frequent stops along the way, which can be time consuming for a day trip. BY CAR: The easiest way to get to Lake Balaton is by car on motorway M7. Beware though that using the motorway requires purchasing a matrica (a highway permit) from a gas station before getting on the motorway. 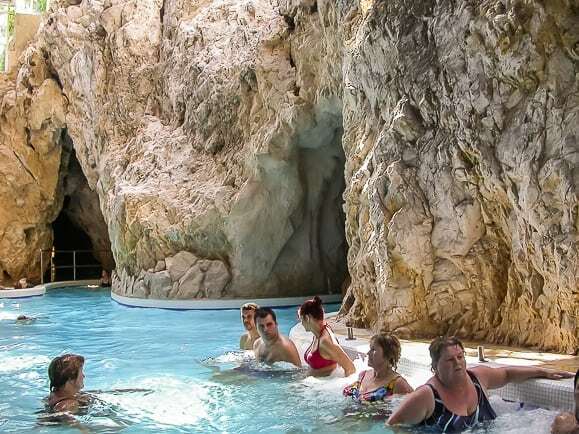 This cave baths in Miskolctapolca are a miracle of the nature: a thermal bath inside an actual cave. You swim and play in a large cave system, with water temperatures around 30° Celsius. The cave is practically a tunnel with two entrances where visitors can come in and go out, so it’s impossible to loose your way inside. One of the entrances opens onto a hall with a sculpted fountain standing below a huge stained glass dome. You can enjoy both covered and open-air pools, but the ones inside the cave are more appealing. The other entrance will take you inside a cavern whose walls have been shaped by centuries of mineral deposits. The baths are not deep enough for a proper swim, but are very popular among the younger generation in Hungary, who enjoys playing pranks in the dark tunnels. 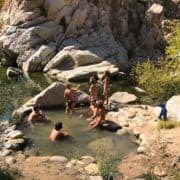 The Cave Bath is famous for reducing joint pain, and since it’s less salty than most thermal waters people can bathe in it for a much longer time. Because it’s so popular, the baths are always crowded but refreshing just the same. Despite being crowded however, this place still makes one of the best day trips from Budapest in summer. Like for all the other excursions from Budapest, you can reach the Cave Baths by train, by bus, or by car in just under 2 hours. By car, the journey is fast and convenient, but you have to remember that motorways are are not free. You have to buy the special vignette (matrica) from a gas station before entering the motorway. I love Esztergom. It’s one of my favorite cities in Hungary. Budapest may brag about big churches, majestic cathedrals, and synagogues, but Esztergom won’t shy away from the competition. 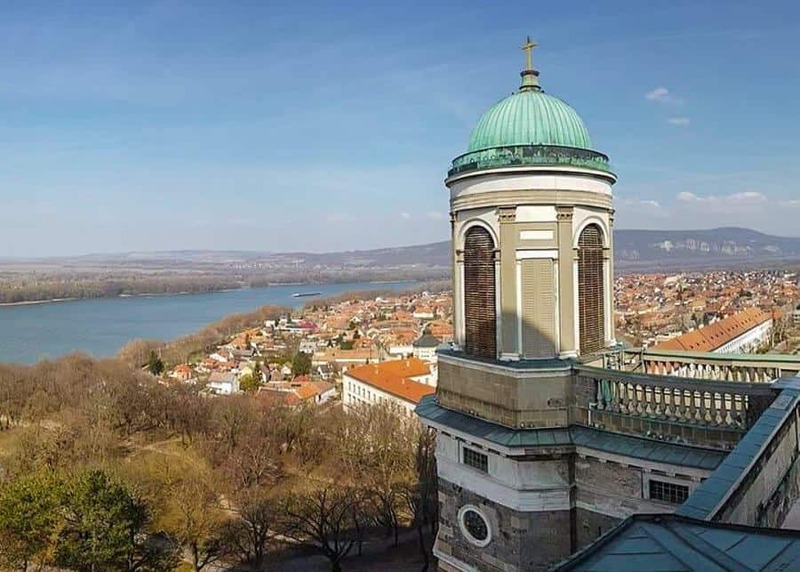 One of the oldest towns in Hungary –Esztergom– boasts the largest Basilica in the country with an inner area of 5,600 squares meter. 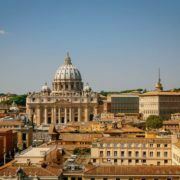 But the gigantic Basilica is not the only attraction in the city. While you could easily spend days exploring Esztergom, it’s worth hopping on a bus, train, or boat to visit it on a day trip from Budapest. 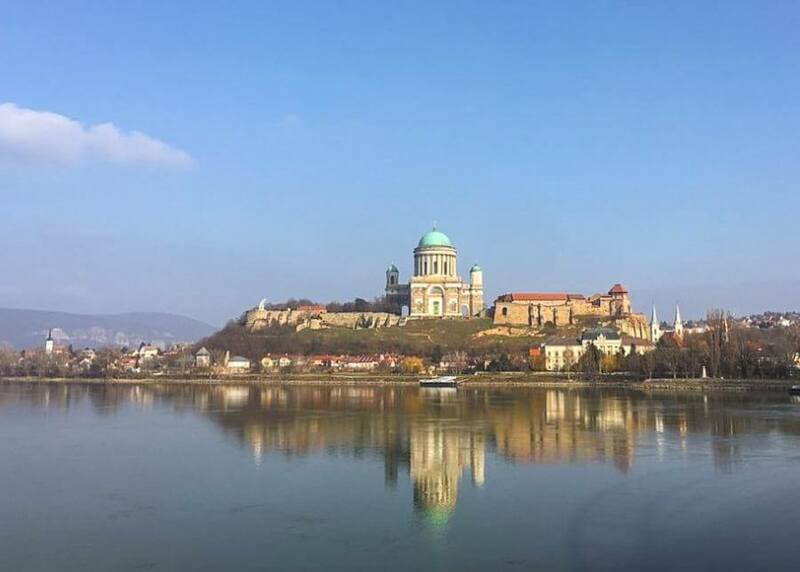 Esztergom Basilica is undoubtedly the highlight of any trip to Esztergom. But Esztergom’s fame goes beyond the church structure: the nation’s first king, St Stephen, was born here in 975. Esztergom was a royal seat for three centuries. 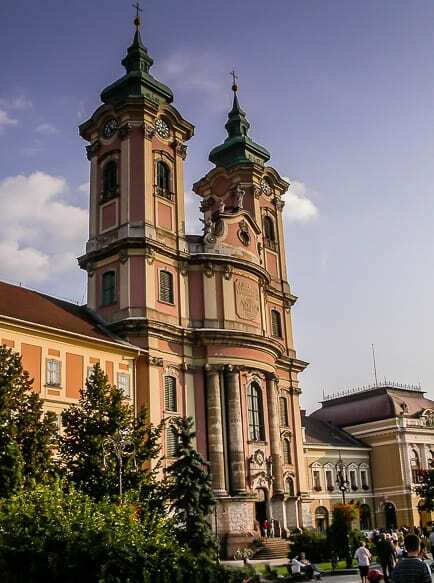 It has also been the seat of Roman Catholicism in Hungary for more than a thousand years. The church is breathtaking inside and out. It’s free to enter the church with the exception of the crypts, cupola and treasury. On the same grounds as the Basilica is the Castle Museum. While we did not go inside, this is another attraction that you can visit in Esztergom. Another interesting place to visit is the Christian Museum which has the largest collection of ecclesiastical objects in all of Hungary. You can reach Esztergom from Budapest by train, by bus, by boat, or by car. By Train: trains fro Ezstergom leave from Budapest’s Nyugati train station. However, the train is not the most convenient means of transportation. The train station in Esztergom is about a 30-minute walk from the center of town. By Bus: taking the bus to Esztergom is much better, as the bus stops right in the town center. In Budapest you can take the bus from the Arpad Bridge Volan bus station in Pest. By Car: we prefer this method of traveling throughout Europe because it’s more convenient and my husband is comfortable driving anywhere. However, it’s not always the cheapest and easiest way to get around. I would love to visit Miskolctapolca Cave Baths. A thermal bath sounds really therapeutic and relaxing. Thank you for the tips. Will take the train instead once we visit. Hungary is such an underrated destination! Can't believe you have all these options there besides Budapest. I am a big fan of their baths and it's the first time I heard about this cave bath. I bet 2 hours drive is so worth it if this is the destination. Need to flex and relax all those muscles after driving! You are right, Trisha. Most people only know about Budapest, but have no idea how many other interesting destinations are in Hungary. I love your idea of biking to one of the closer cities. The cave baths sound most appealing to me, but Eger sounds like the most practical day trip if I’m traveling with friends because it sounds like there’s something there for everyone. I’d love to spend a week in Hungary and check out all of these places. The first time I heard about Bupadest is from that movie "Grand Hotel Budapest". It was a good movie. During that season, it would be nice to enjoy wine tasting and gain tips from locals. And enjoy the city and the architecture. Balaton is beautiful, but a little farther away than Szentendre, or Eger. I have not been to Budapest in many years but if I go back, I'd want to go see Eger. The castle and the hot pools are what attract me most. Although, I wouldn't mind visiting the basilica in Esztergom. I guess I should plan on spending more time in Hungary. Esztergom is my favorite of all the day trips I listed here too. I've just started mapping out a European road trip that includes Hungary so I'm glad that you gave me some great ideas for getting out into the countryside of Hungary. I've never been so I'm excited to see these areas. A road trip through Europe will be a lot of fun. Looking forward to reading about it, Jill. I was melting in Budapest this past summer! 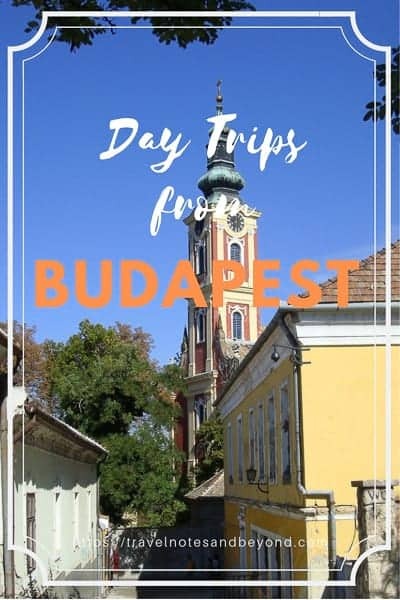 I desperately wish I took these day trips that you recommended to escape the heat and explore more of Hungary’s hidden beauty! Lake Balatan and Eger would be at the top of my list! These photos are impeccable and I want to visit these regions ASAP! Thank you, Martha. Hope you will get to visit some of these places soon. What a great list. We were in Budapest last year but only had a few days so we decided to stay in the city instead of taking day trips. Perhaps I'll do that when I go back next. 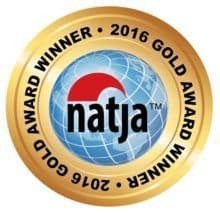 I am particularly interested in the Hungarian wine country.... they have a prolific wine industry I was os unaware of until I went to Budapest. The day trips are worth doing only if you have more time in Budapest. The city has so many attractions, it's hard to leave it behind and go somewhere else if you only have a few days. You'd have no problem walking on that platform, Jane. I am afraid of heights and still enjoyed walking on that platform a lot. Budapest is on my fall list, so I’m not necessarily looking to get away from the heat. 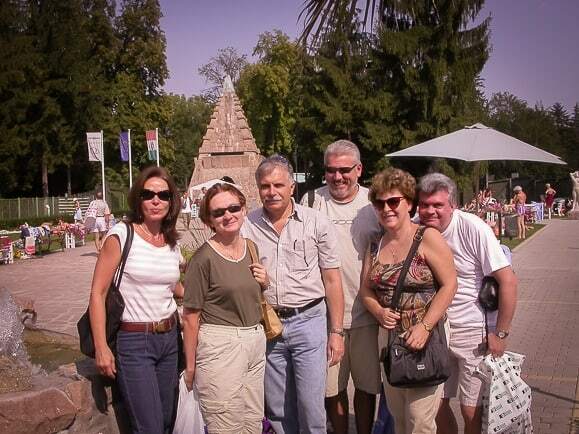 But these day trips are great to see a different aspect of Hungary. I’m grateful that you specified how to get to each one since I’m probably not renting a car and need to plan on train access mostly. And wine tasting in Eger sounds appealing! 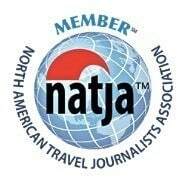 Thank you for the day trips ideas from Budapest! I love getting out of the city when I travel to experience the countryside and take in some nature. 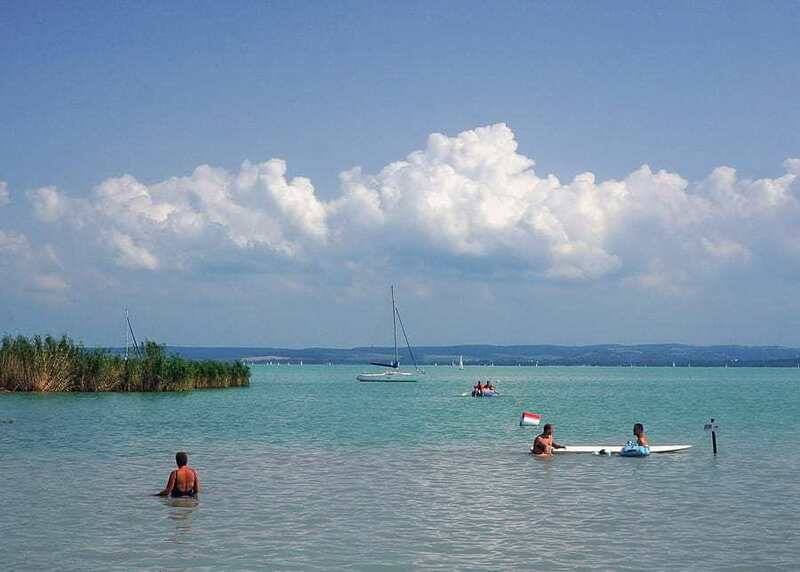 Lake Balaton looks like a wonderful, relaxing place to slow down and relax. Miskolctapolca Cave Baths also look like an amazing, cultural experience. They are all cooler places to visit while it's hot in Budapest. Of all the cities outside Budapest on the list, I think I want to visit Eger first. I like the history behind the fortresses and especially the church. It is so beautiful! The distance from Budapest is an added value. The second one is Lake Balatan. I just want to soak in that silky-green shallow water. Then the cave baths. Who says no to a thermal bath, right? Yep, you are right. We all love a thermal bath. Can you believe I've still not been to Hungary, and it's only 1.5 hours flight from me! I love the look of all these smaller towns, especially the ones with the thermal/cave baths. I'm a huge wellness fan when I travel so would love to de-stress here for an hour or so. Eger also is appealing as I'm a wine drinker, and would love to try Hungarian wines; it'd be a first! This is a great list! I love seeking out day trips from major cities. It’s such a great way to get even more out of a great trip. Eger looks amazing. I would love to see Eger Castle! We haven't been to Hungary or Budapest yet but if we go we will definitely plan to visit the towns that you have mentioned. Love your photos. We have heard of Bulls Blood Wine and would love to enjoy a glass of two. The view of Esztergom Basilica from across the lake was stunning. I do love this area of the world. I spent some time in Romania last fall and really wanted to visit Hungary, but didn't feel like I'd have enough time on that particular trip. 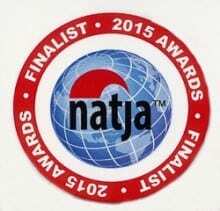 Seeing how many wonderful options there are around the country is very encouraging. Szentendre reminds me a lot of Sighisoara in Romania - cobblestoned streets, beautiful buildings, and a tall church tower. I'd love to visit someday! You are right, Rachelle, I grew up in Romania and have seen the many similarities between these two neighboring countries. 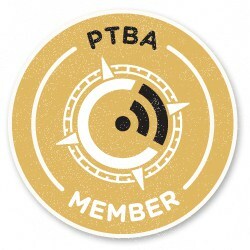 That's so cool! Where did you grow up? My friend just got married to a Romanian guy and they live in Ploiești! I grew up in Bucharest, Romania, just an hour away from Ploiesti. There is such a heavy focus on Budapest in travel writing lately but seldom do I see posts about places outside of the city. 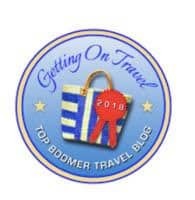 I really enjoyed reading this and adding lots of places to my bucket list! 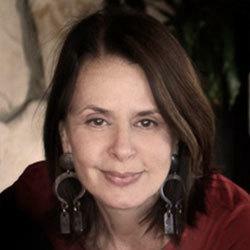 I'd be really interested to visit the cave baths and definitely the wineries! It would be nice to spend so much time relaxing before heading back into the busy city. I'm saving this post for later for sure, thank you so much for giving me so many ideas! Thanks, Stephanie. Totally worth taking some of these day trips if you have more time in Budapest.